It’s rather embarrassing. You’re sitting with your dead car on the side of the road, holding your jumper cables in the air and feeling like a mad scientist about to zap himself into outer space. You’re not the only one who might be confused. Studies suggest a quarter of Americans have no idea what to do with those jumper cables, either. In fact, only 47% feel confident they could Frankenstein their car back to life. Knowing how to jumpstart a car is a useful tidbit of knowledge that can help you and others on the road. We’ll give you the down and dirty run-through here so that you’ll never forget which cable goes where the next time you’re stranded. Do You Need a Jump? Before resuscitating your vehicle, you should figure out if it’s actually the battery causing your dilemma. These signs will help you diagnose your vehicle’s sudden bout of illness. Turn the ignition. If you hear no noises, don’t feel discouraged. This is a good sign your battery’s to blame for your mishap. In some instances, your car might crank very . . . slowly . . .
Or it might crank once or twice before resorting to stubborn silence. Again, these are indicators your battery is dead. Also, keep an eye on your dome lights and an ear out for that annoying chime you hear every time you insert your key into the ignition. If you don’t see or hear either or the dome lights are dim, chances are your battery is out of juice. Likewise, take a moment to check out your headlights. Are they dim? Is your radio not working? If so, it’s time for a jumpstart. Scar from The Lion King was onto something when he was caterwauling about being prepared. Always keep a pair of rubber-insulating gloves in your glove box (after all, it’s called a “glove box,” right?) to protect you from charges. It’s also a good idea to have emergency signal tools, a seat belt cutter and, of course, jumper cables. Before we teach you our vast knowledge, young Grasshopper, it’s vital to understand the risks. Most importantly, never connect the negative cable (the black one) to the dead battery’s negative terminal. Doing so could result in an intense fireworks display that you won’t want to be near. When a battery dies, it releases hydrogen. If a spark occurs when connecting the cable to the terminal, it creates an explosion. It’s a big bada-boom you’d best avoid. Remember the rule with this helpful and morbid jingle: Terminal with black might mean never coming back. Mike Allen of Popular Mechanics relates a story where a friend inadvertently accomplished this and fused his wedding ring to his finger. If you or someone who offers to jump your car has an electronic ignition system or a vehicle that runs on something besides fuel, do not allow them to jump the car. Doing so can damage the vehicle. Newer cars have intricate computer systems. 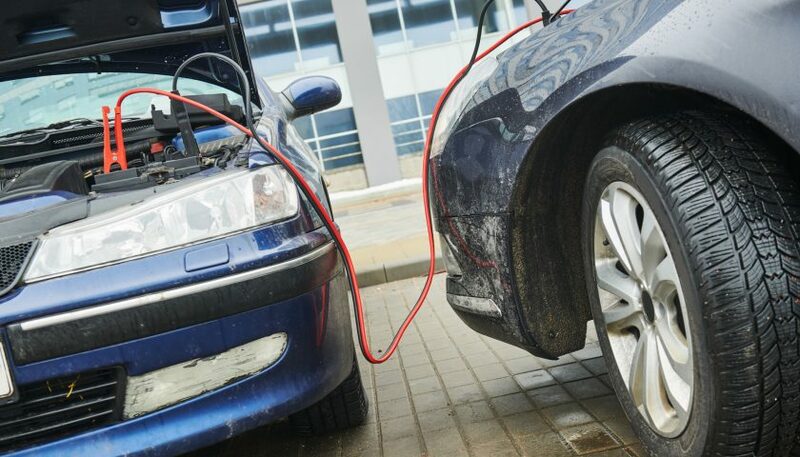 When a jumpstart occurs, high voltages travel from one car to the next. 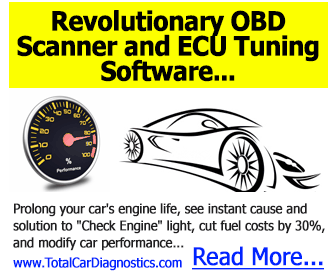 They can fry the expensive systems within your vehicle or the other person’s. A better alternative is to use a jumper pack, which contains a portable battery you can connect the disabled vehicle to instead of another driver’s battery. It works the same way as regular jumpstarting but offers a lower voltage that won’t harm a vehicle. If you have a car built after 2000 with computer systems, think twice before asking for or providing a jumpstart. After receiving your jumpstart, don’t let your vehicle die again. Avoid shutting off your vehicle and drive for at least 15 minutes. This gives your alternator time to provide a little charge to the battery. It will also give you time to gloat about having successfully accomplished your jumpstart. Don’t worry. It’s a lot easier than you think. And if you remember red is positive (as in the Red Cross, which ironically has a red plus symbol as its logo), you’ll always know which clamp goes where. 1. Begin by moving the Good Samaritan’s car close enough to yours so that the cables can reach from your battery to his or hers. Put on the handy pair of gloves we suggested earlier to protect yourself from electrical charges. 2. Place both vehicles in Park and shut off the ignition. To keep things safe, it’s not a bad idea to employ the parking brakes. 3. On your battery, there are two terminals. Attach the red cable to the positive terminal on your battery. It will be marked with a plus sign or “POS.” In some cases, it may be larger than the other terminal. 4. Connect the red cable’s other end to the working vehicle’s positive terminal. 5. On the working car, attach the black clip to the negative terminal. 6. On the disabled car, attach the other end to a non-painted metallic surface away from the battery. Many mechanics prefer to clip it onto the chassis, metal struts (which prop the hood open) or somewhere on the engine block. 7. Start the working car and allow it to idle for about three minutes. 8. Start your car. Do not turn it off or you risk losing the battery’s “juice” the jumper has kindly provided. 9. Carefully remove the jumper cables in reverse order. Remove the black clamp from your vehicle, then the helper’s. Next, remove the red clamp from the helper’s vehicle and then from yours. Make sure the clamps don’t touch each other. 10. Drive for at least 15 minutes (preferably half an hour) to help recharge your battery. Is your car still not running? Try re-checking the connections or moving the ground (the black clamp attached to the metal on your vehicle) to another metal piece. Also, remove any corrosion around the terminals. Remove corrosion without the cables attached. If this still doesn’t work, give the able-bodied car an extra five minutes to idle before attempting to start yours. Unfortunately, if your car continues to silently sulk, it may be time to call for a tow. Even if your battery isn’t the culprit, at least you’ll be able to use those jumper cables you’ve had in the back of your vehicle for years. Knowing how to jumpstart a car is an essential bit of knowledge that will help you or a friend in a distressing and potentially embarrassing moment. Remember the rhymes and rules, and you’ll do just fine. But, of course, even after this nerve-wracking dilemma, you may have to replace your battery. To find which part is right for your make and model, use our handy service repair manuals. We have manuals for every type of car, and it’s a breeze finding the information you need. Don’t let your car leave you stranded. Tackle that battery problem and get yourself safely back on the road.